Blackish with long decurved bill. 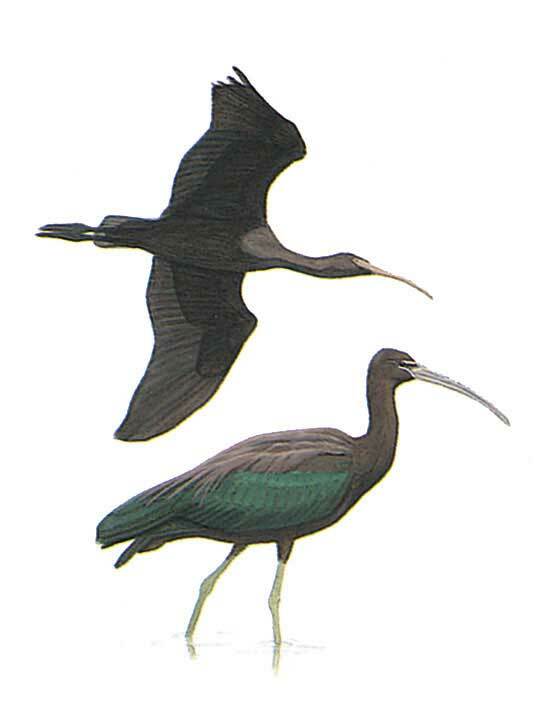 Close views however show plumage to be a deep purple-chestnut, glossed green on wings. In winter bill is brownish with fine pale streaks on head and neck. Juvenile plumage much duller. Fast wing-beats in flight often followed by long glides, frequently in long-line formation.